After being arrested by U.S. Immigration and Customs Enforcement (ICE) earlier this month, 21 Savage has been released on bond. For the past 9 long days, we, on behalf of She'yaa Bin Abraham-Joseph, known to the world as 21 Savage, have been speaking with ICE to both clarify his actual legal standing, his eligibility for bond, and provide evidence of his extraordinary contributions to his community and society. In the last 24 hours, in the wake of the Grammy Awards at which he was scheduled to attend and perform, we received notice that She'yaa was granted an expedited hearing. 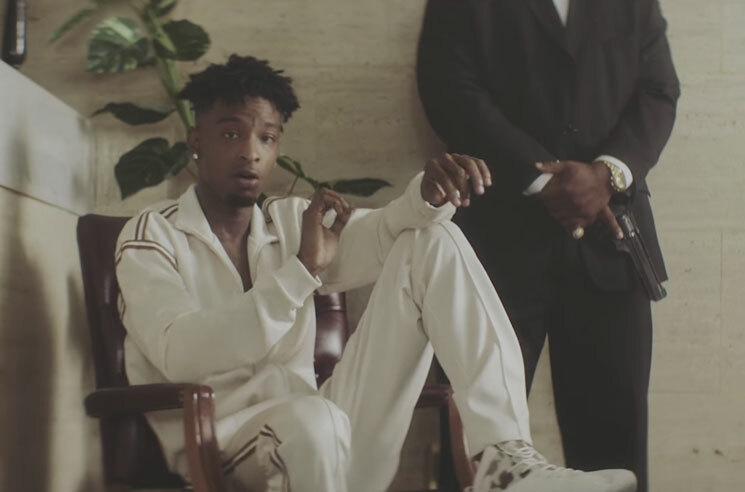 21 Savage asked us to send a special message to his fans and supporters — he says that while he wasn't present at the Grammy Awards, he was there in spirit and is grateful for the support from around the world and is more than ever, ready to be with his loved ones and continue making music that brings people together. As previously reported, 21 Savage was arrested by ICE on February 3, with U.S. immigration authorities claiming he was a British national staying in the United States on an expired visa. Through his lawyers, Savage confirmed that he was born in the United Kingdom and had immigrated to the U.S. at age 7. The rapper claimed he lost his legal status in 2006 "through no fault of his own" and had filed for a new visa in 2017.